The Beach - The home is located on the ocean side of Beach Rd., so you just walk out your door and through our private access path. It’s literally 230 feet to Siesta Key Beach. No busy roads to cross and no need to find parking. 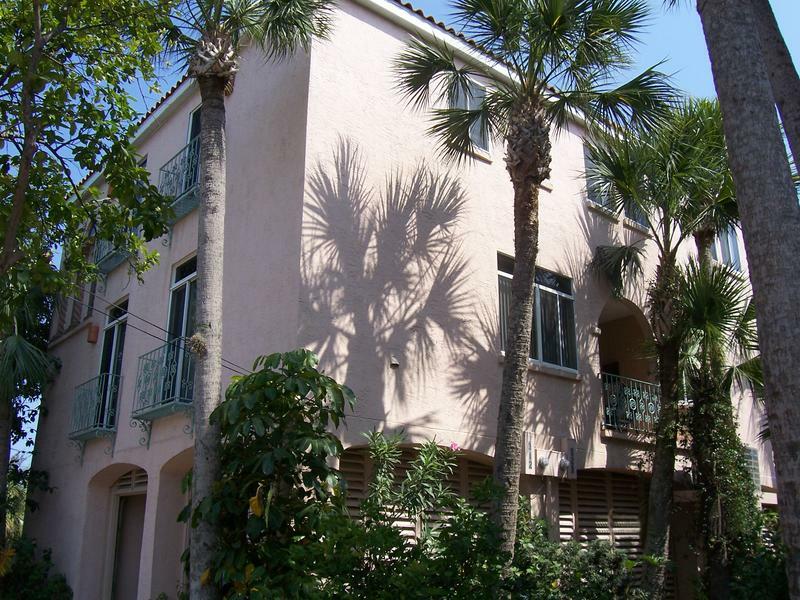 Seconds to Siesta Key Village – The home is located right next to Siesta Key Village. You are a one block walk away from restaurants, bars, boutiques, and ice cream shops. Large Home – The home has just over 2,000 square feet on the top two levels and includes 3 bedrooms, 2.5 baths, lanai, and in-unit laundry. We also have a 1,000 square foot ground level that has the main entrance foyer and 2.5 car garage. It comfortably sleeps 8-10 people. Privacy & Security – The home is part of a development of four homes. It has its own gated driveway, garage, and entrance. This is not a high rise or large vacation rental development. When you stay at The Shells Villa you feel like you are in a home, not an apartment or hotel room. Amenities & Décor – The villa is elegantly appointed to make you feel at home. It has luxury finishes such as three flat screen TVs, surround sound audio, beautiful art work, fireplace, oriental rugs, and comfortable furniture. Free cable, Internet (wireless or wired), phone, beach toys/chairs, and gas grill are also included. Peace of Mind – Don’t leave anything to chance. The Shells Villa is locally managed and the office is located within walking distance of the home, so if you run into any issues you know we will be there to help.